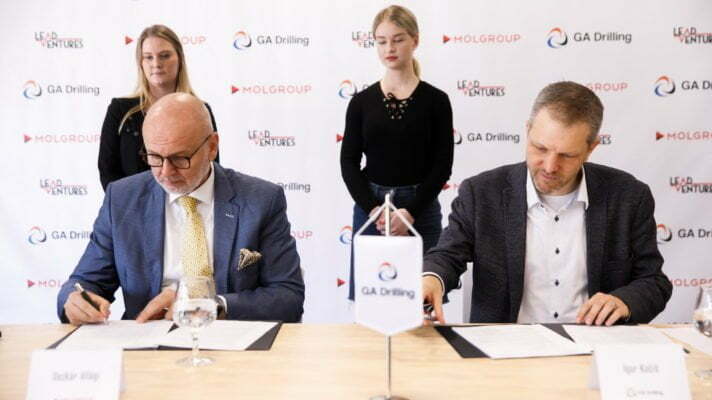 Today GA Drilling signed a euro 4.2 million funding agreement with Lead Ventures and a service agreement with MOL Group in Bratislava, Slovakia. Lead Ventures, a Budapest-based venture capital firm invested funds provided by MOL Group, and Hungarian Eximbank. 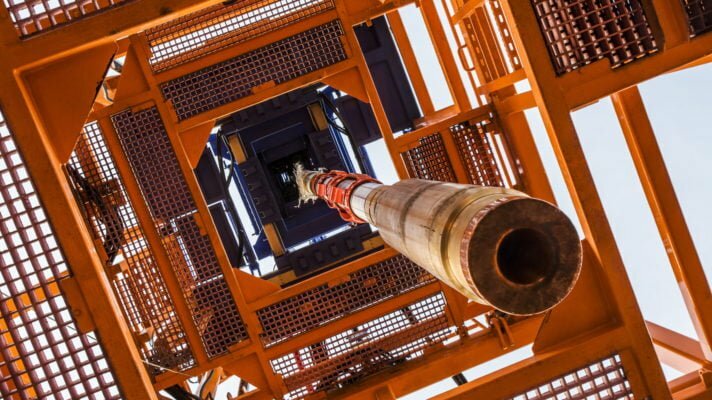 The deal gives GA Drilling access to onshore production wells to test its disruptive PLASMABIT plug & abandonment technology in real field conditions. The agreement is a major step in enabling the commercialisation of the PLASMABIT technology, which can bring positive environmental impacts, and significant cost and time reductions when compared to conventional methods of decommissioning of unused oil wells. 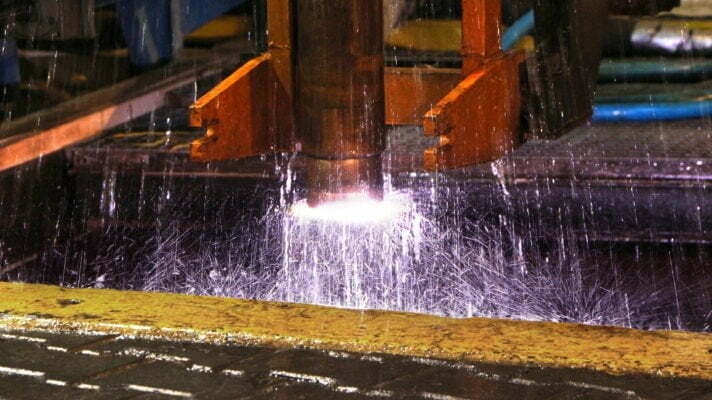 GA Drilling is a world pioneer in developing innovative technology for contactless drilling and P&A milling using its proprietary electric plasma disintegration process. The technology opens opportunities within multiple sectors with the initial focus being the environmental plug and abandonment of old wells, slot recovery and other decommissioning services. In parallel, the company continues to develop further applications for hard rock drilling enabling access to deep geothermal energy, as well as tunnelling and mining of raw minerals. 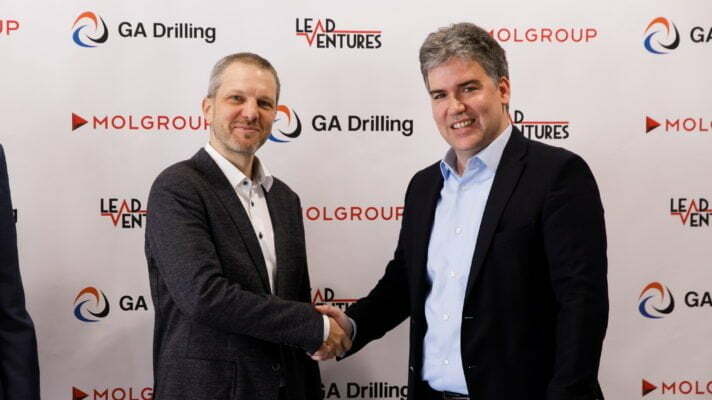 The aim of partnership with Lead Ventures and MOL is to enable GA Drilling to successfully deliver its first commercial application for oil & gas industry, testing PLASMABIT in real field conditions onshore. In parallel, GA Drilling continues to seek strategic partnerships with other Oil Majors for Offshore Platform and Sub Sea wells for testing PLASMABIT worldwide. “GA Drilling now has the ability to commercialise its technology with a major Oil company in an operational environment as an integrated services company. We can now optimize our PLASMABIT P&A process and prove the commercial effectiveness of the application for the global market. Having MOL Group and Lead Ventures as strategic partners demonstrate the transition, we are making from a technology company to an international service focused business. It validates our combined efforts, our belief in PLASMABIT as a significant game changer with considerable upside in various applications for the industry. 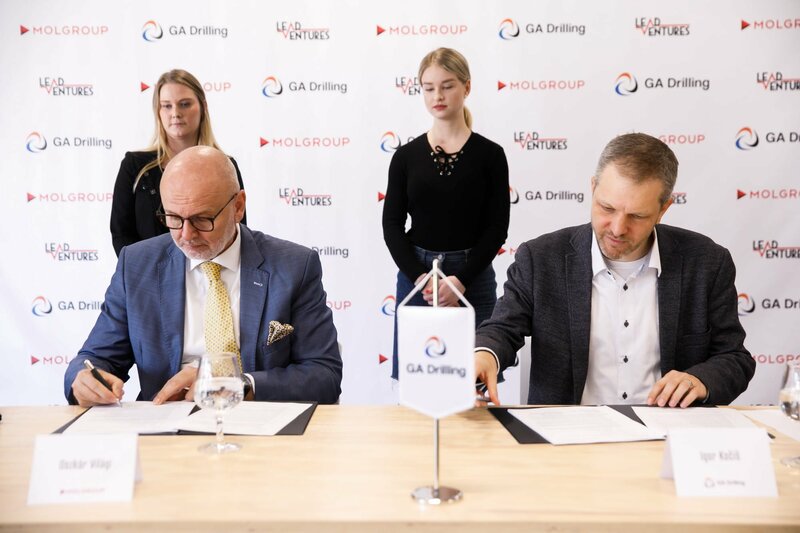 We appreciate continuous support and trust of our equity investors, R&D backing from EU public grants, loan from Slovak government to refinance the long-term infrastructure and extending of industrial cooperation, jointly bringing us to today’s success,” said Igor Kočiš, co-founder and CEO of GA Drilling. “The novel solution developed by GA Drilling has the potential to positively disrupt a very traditional segment of the energy markets. In our view this is one of the most promising energy innovations in the Central European region. Lead Ventures is committed to support those innovative companies which require substantial funding to further their development and has the potential to be the next success story in Central Eastern Europe,” said Ábel Galácz, CEO of Lead Ventures. 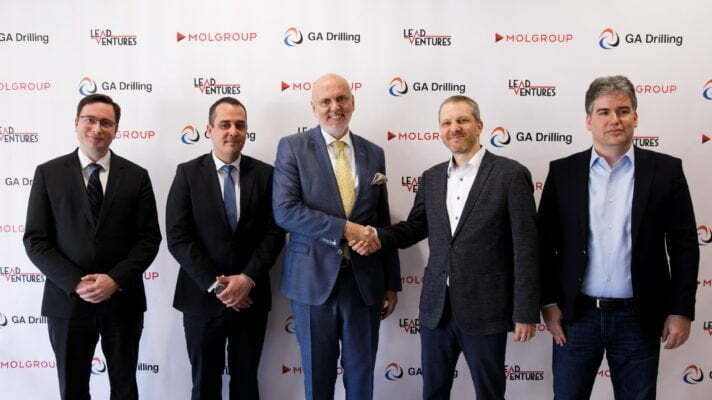 Agreements have been signed by Igor Kočiš, Co-Founder and CEO GA Drilling, Oszkár Világi, Group Chief Innovation Officer, MOL Group, Dr. József Goldfárth, Group Oilfield Chemicals & Technologies Manager, MOL Group, Péter Vasváry, Group Industrial Services Vice President, MOL Group and Ábel Galácz, CEO, LEAD Ventures. 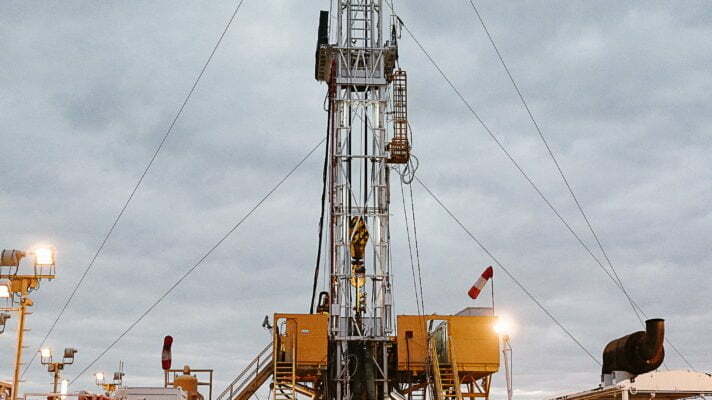 GA Drilling is a hi-tech company founded in 2008, developing a revolutionary electric plasma technology called PLASMABIT focusing of changing the global energy mix. PLASMABIT technology is able to drill faster, deeper and cheaper than conventional methods, therefore, will provide access and make geothermal energy more economical globally in more than 70% of the most populated earth’s areas. PLASMABIT has a potential to radically change other industry segments too such as plug and abandonment of the old wells in oil & gas industry, tunnelling, mining exploration, mining minerals and others. One of the strategic partners of GAD is Schoeller-Bleckmann Oilfield Equipment, the Austrian technology leader of the extractive industry. In 2018 GA Drilling successfully passed a final evaluation of international project competition, aspiring for support from InnoEnergy, an association of industry companies, focused on energy innovations support. 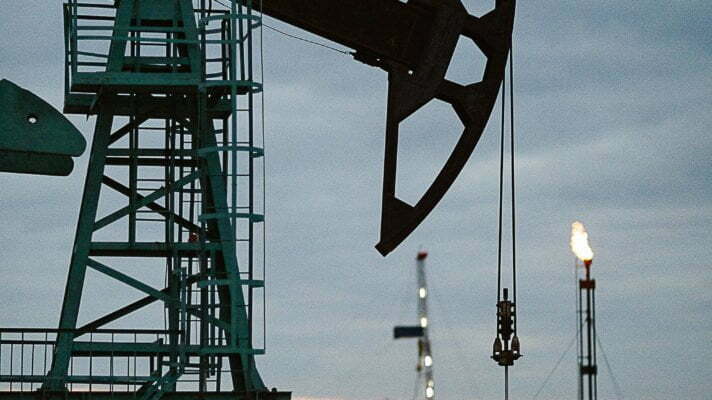 MOL Group is an integrated, international oil and gas company, headquartered in Budapest, Hungary. It is active in over 30 countries with a dynamic international workforce of 26,000 people and a track record of more than 100 years in the industry. MOL’s exploration and production activities are supported by more than 80 years’ experience in the hydrocarbon field and its diverse portfolio includes oil and gas presence in 13 countries, with production activity in 8 countries. MOL Group operates four refineries and two petrochemicals plants under integrated supply chain management in Hungary, Slovakia and Croatia, and owns a network of nearly 2,000 service stations across nine countries in Central & South Eastern Europe. Lead Ventures is Central and Eastern Europe’s industry specialized venture capital and private equity firm. Its mission is to identify and support the most promising ventures in the CEE region, encouraging entrepreneurs to disrupt established industries with innovation. Lead Ventures has EUR 100 m under management invested by MOL, the region’s most successful energy company, and two financial institutions specialised in supporting the start-up ecosystem – the Hungarian Development Bank (MFB) and Eximbank. The firm looks for dynamic teams active in the fields of advanced energy, mobility, business to business services and software with unique stories validated by the market, having outstanding growth potential and global reach. Lead Ventures provides investments of EUR 2-10m, targeting series A-B financing rounds. Beyond investment, Lead Ventures dedicates their expertise and professional network to facilitate growth of their portfolio companies.